Motorsports Gift Cards is going to award one lucky winner with $500 a Week for LIFE! Enter once for your chance to win this prize worth over $500,000! One (1) “Win $500 a Week for Life” prize will be awarded. 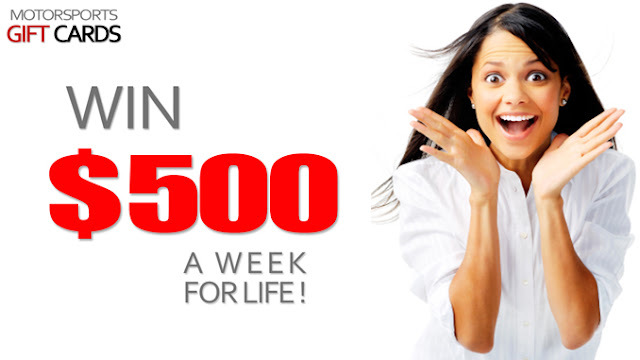 Total Value of the “Win $500 a Week for Life” is $520,000. This Sweepstakes ends on 11/23/18 and you can ENTER ONCE to win.